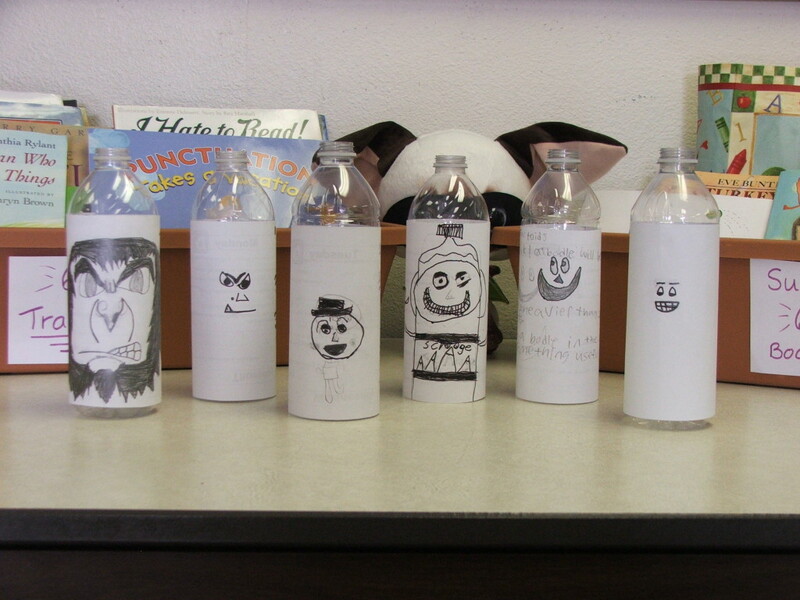 Thank you to Caroline Rondeau at Lulu Walker Elementary for sharing her great Earth Day art project with us. Caroline is a special education teacher who read Earth Day Carol with her 3rd, 4th, and 5th grade students. 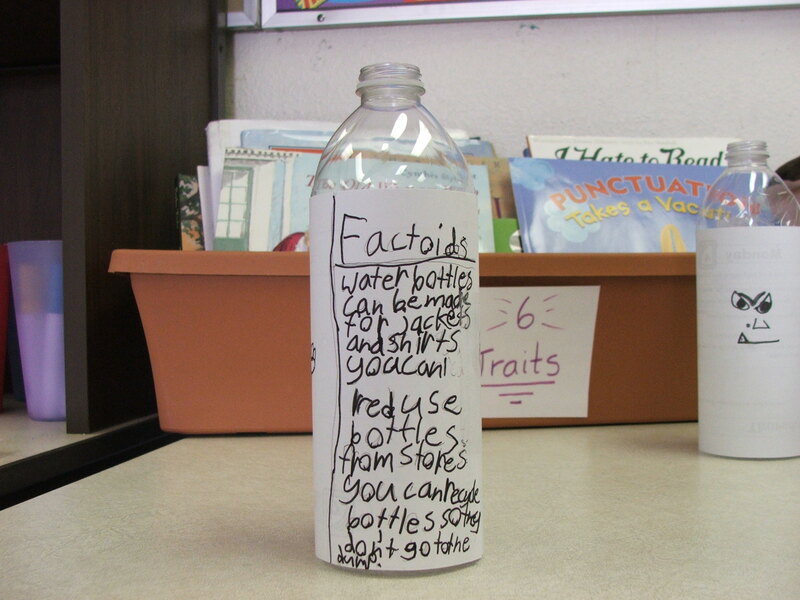 After reading the story she shared some of the factoids about plastic and recycling with her students. 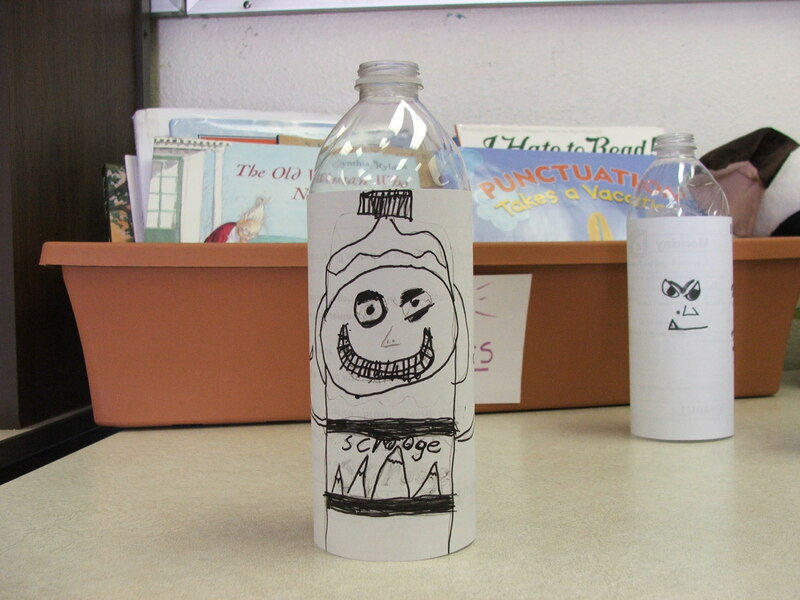 Then the students made their own Scrooge bottles from old water bottles–they made a face on it and included three or four factoids. We love hearing how you celebrated Earth Day! Thank you to Lucy Bigelow and her 5th Grade class at Lourdes Catholic School in Nogales, AZ for sharing their Earth Day art. 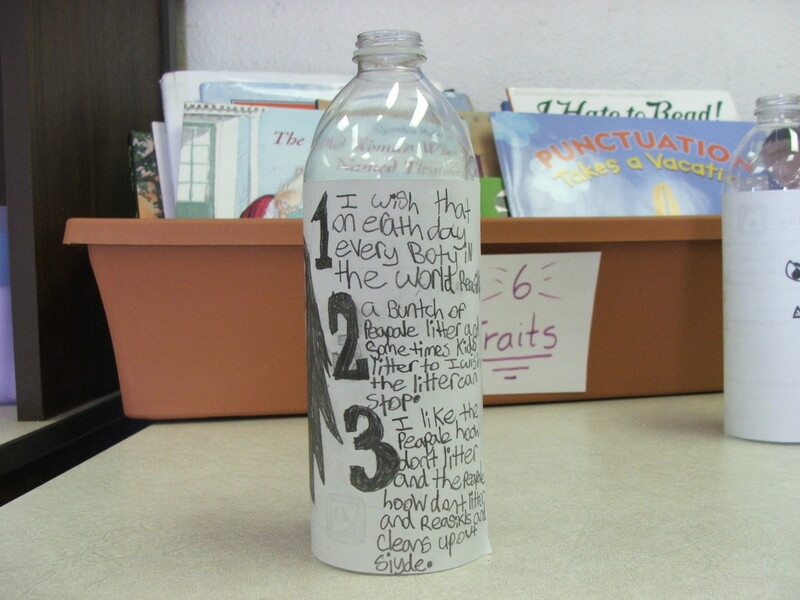 Create an Art Project using recycled items that you would normally throw away. 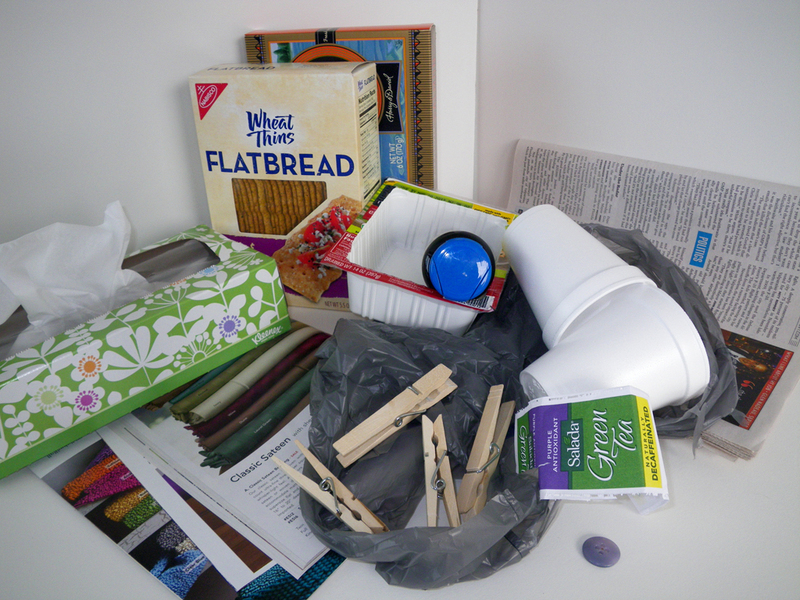 The themes are: “Earth Day Carol,” “Reduce, Reuse, Recycle,” or “What the Earth means to me.” We will submit pictures of the art work to the Earth Day Carol website. You can watch the Earth Day Carol on YouTube or download the free app: Earth Day Carol. And remember to Reduce, Reuse, and Recycle! The title of my robot is Electrobot, and his name is “Patricia”. Well, I made it with 16 pieces, like caps, cereal boxes, and water bottles. 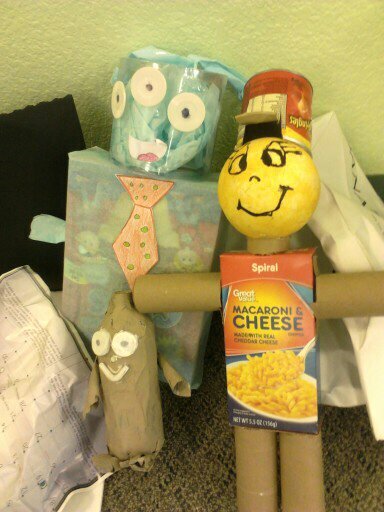 So, I used the bottles for arms and legs, and the boxes for the arms, head and stomach. I used the caps for eyes, ears, nose, and mouth. 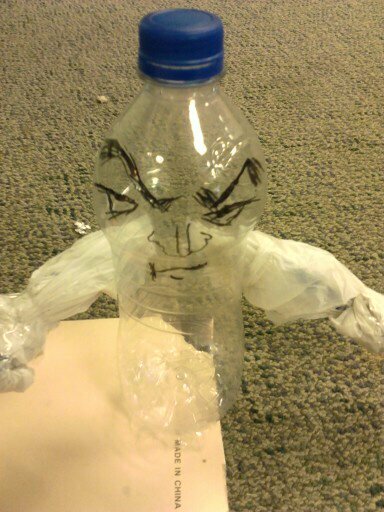 Something that inspired was that because everybody is throwing plastic away, and well, I wanted to reuse it. I made a clock made out of the top of a plastic box. I did it because I thought that it would be very creative to do it. 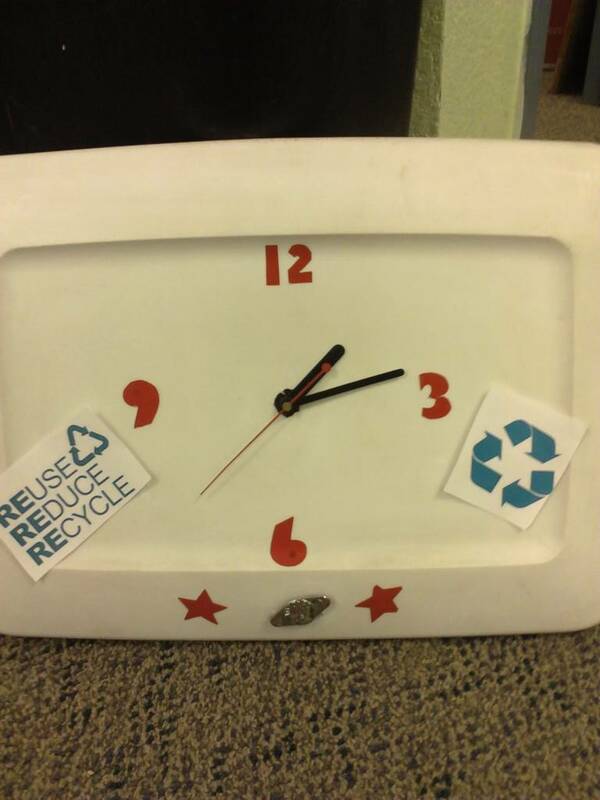 The numbers of the clock are made of trash cut into numbers. But the best part of my project is that it works! It really tells the time, and I could hang it in my house and we would be inspired to reuse, reduce, and recycle. 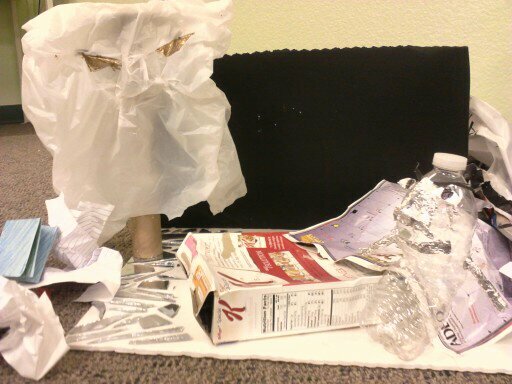 I made a surfer with straws, parts of a soda can, aluminum paper, and carton. I made Surfer, because I like to play at the beach, but I do not know how to surf. But when I go to the beach, they are going to give me surfing lessons. I like Surfer because he is really cool, and he is the best surfer of Hawaii, in the huge waves. What inspired me was that the 2nd scene was the first ghost in the movie and it’s my favorite one. 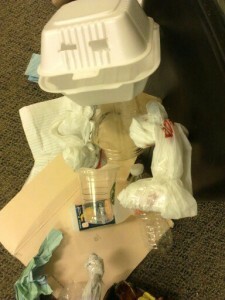 I used a to-go container, scissors, three bottles, the plastic bags, and a cup and tape. 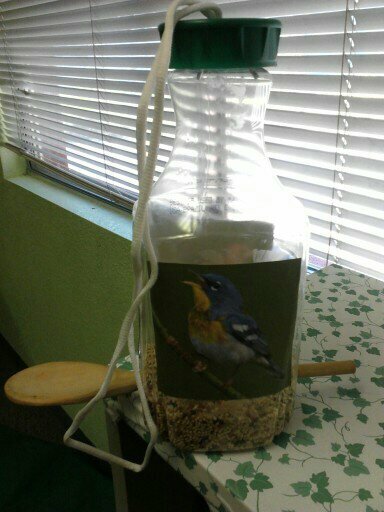 I made a bird feeder because in my house a lot of birds fly. I got an orange juice bottle and I cut a circle in the middle. Then I cut the other side and then I made a little hole on both sides and I put a wooden spoon in it. I poured the food and I made a hole on top of the lid. 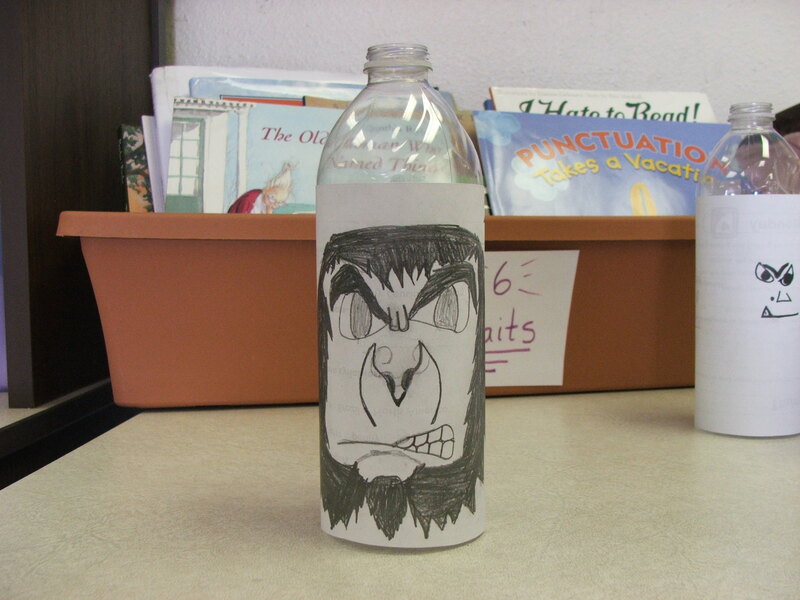 Then I printed some pictures and glued them to the bottle. And that’s how I made my bird feeder. 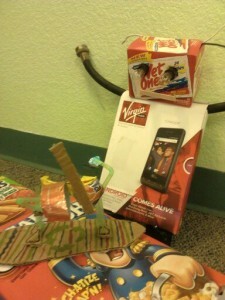 I recycled a cereal box, water bottle, broken glass, a plastic bag, and some poster board. I got the idea from Earth Day Carol when the ghost of plastic present visited Plastic Bottle Scrooge. I got inspired to make an airplane by a man who I saw across the border selling these huge can airplanes. 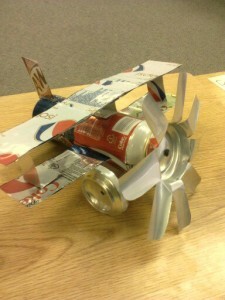 Since my mom drinks a lot of soda, we had cans all over the house, so I thought, why not use the cans and make a plane. 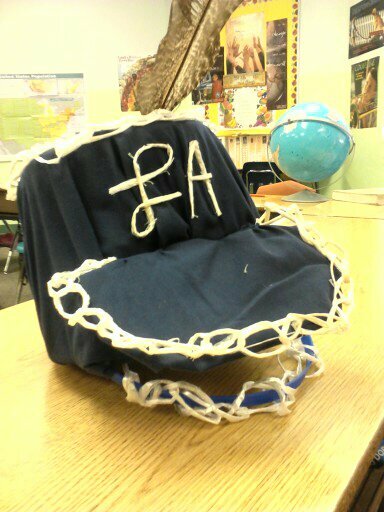 I made a hat. It is made with an ice-cream bucket, a feather, a bed sheet, and some rope. I can’t take all the credit because my grandmother helped me. 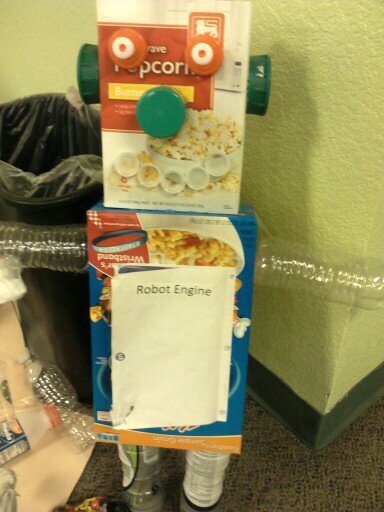 I called my robot the Roboter. I used 21 things to make “Roboter”. I used 2 boxes to make the head and the belly. 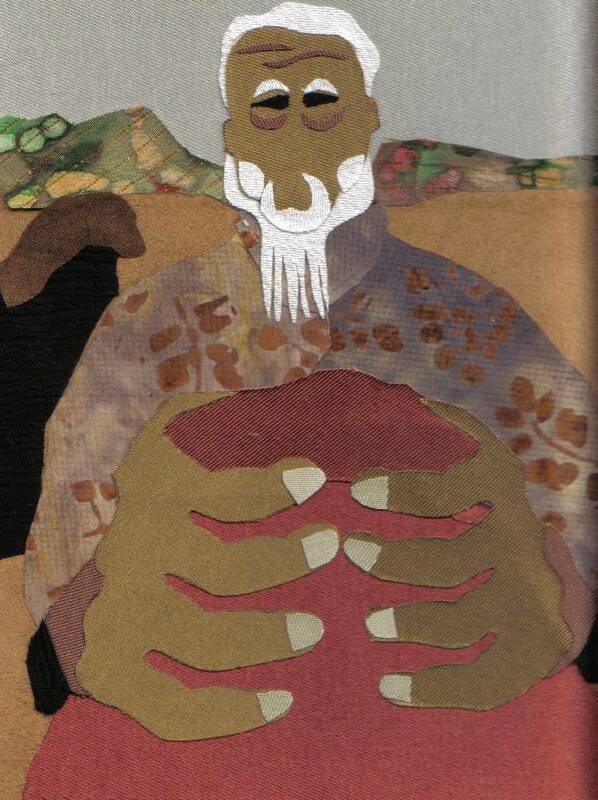 The belly opens and has a lot of structures working. I used 2 light bulbs for the eyes. I used the ink of the printer for the legs. I used a broken hose for the arms and a stick for the mouth. It inspired me because I thought it would be cool and creative making a robot with only recycled things! I made some bracelets and a belt made out of old ribbon and a used shoe lace. 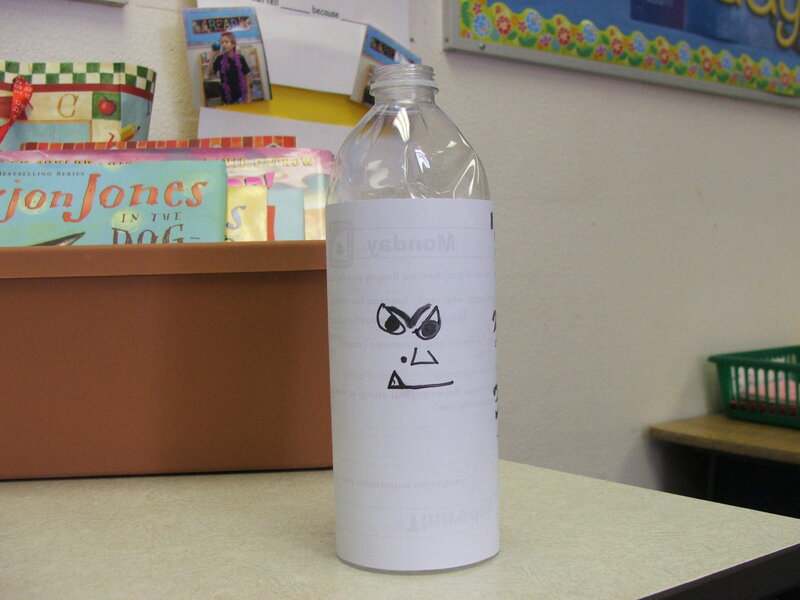 I also used some soda can lids to add so it wouldn’t look so boring. I thought it was pretty cool! 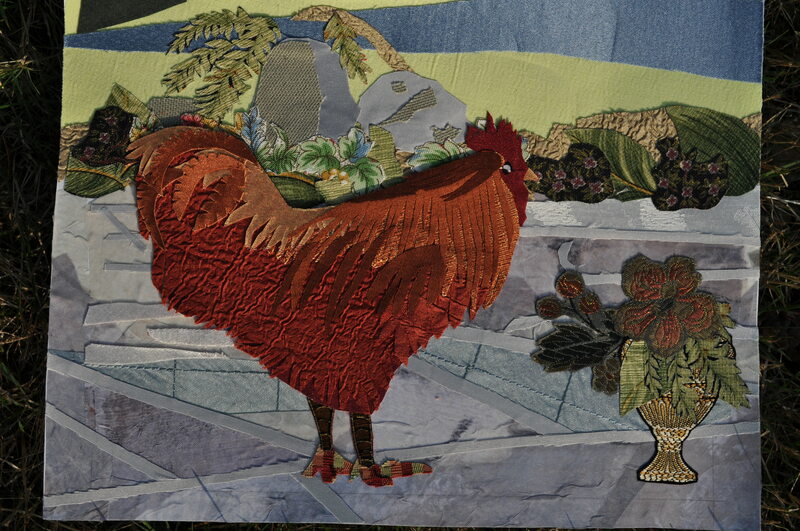 I really liked finding old things and turning them into something else! We’d love to know how you celebrated Earth Day this year! 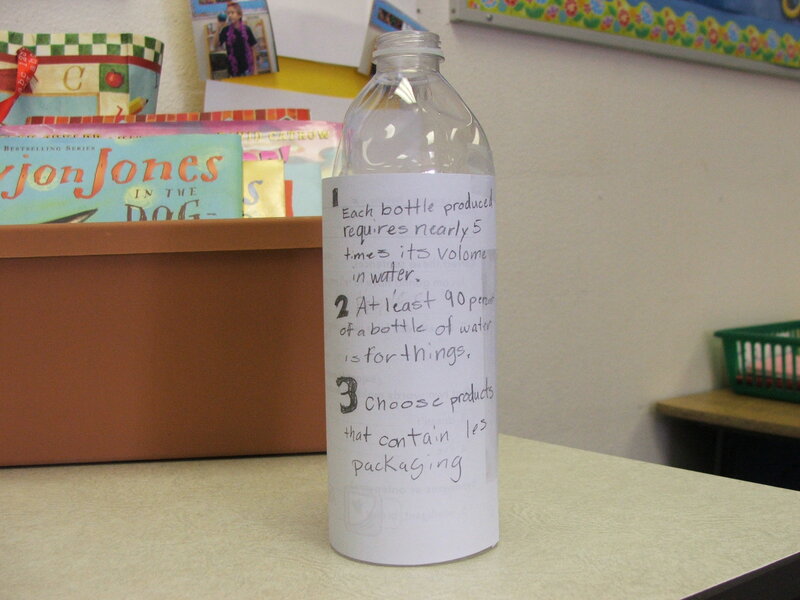 Looking for an Earth Day activity to do with students on Monday? 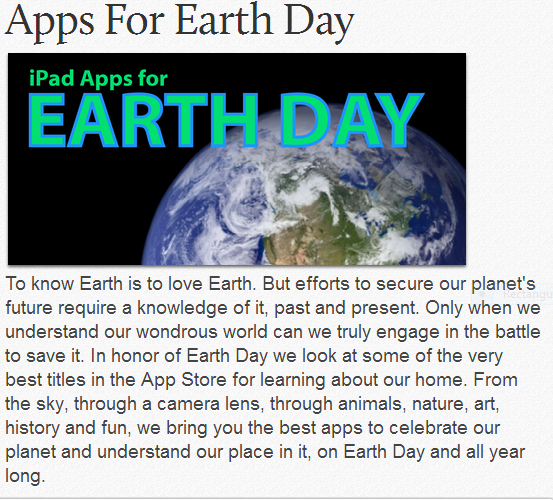 Visit the For Teachers page to get ideas about how to use Earth Day Carol in the classroom. 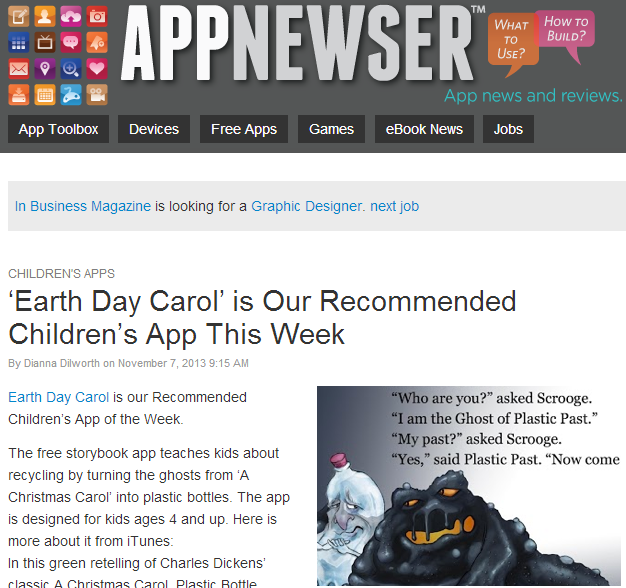 Thank you very much to The Progressive for featuring the Earth Day Carol app on the bottom right-hand corner of their web-pages. We appreciate your support for the project! 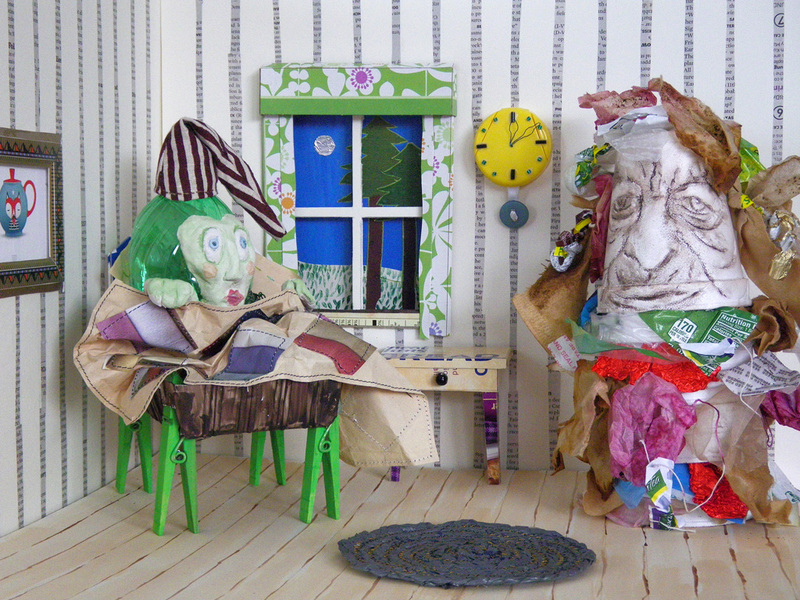 Earth Day Carol is a green retelling of Dickens’ classic A Christmas Carol with a Plastic Bottle Scrooge being visited by the ghosts Plastic Past, Plastic Present, and Plastic Future. This environmental resource explores Reduce, Reuse, Recycle, through animation, pop-up factoids, and a narration by actress Janet Varney (The voice of Korra on Nickelodeon’s The Legend of Korra). Thank you to Janet Varney for the hilarious new narration on the app. Janet recorded the narration and it was edited by Jon Rustad at Famous Bakery Music.